Swags, tree, lights all coming down. Provided photo. 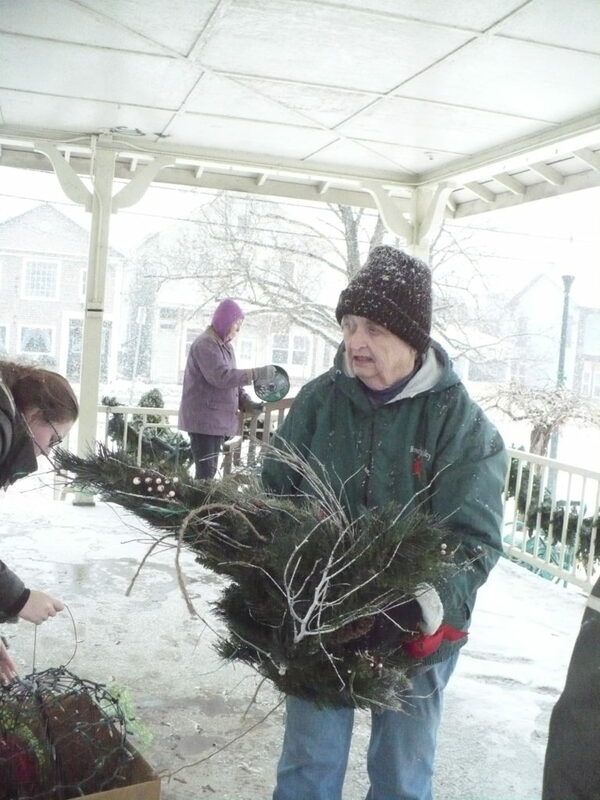 You know winter is fully underway when the Tillers and Toilers Garden Club removes Christmas decorations from the Newark Valley Municipal Building and Gazebo. Will this fit back in the boxes? Provided photo. 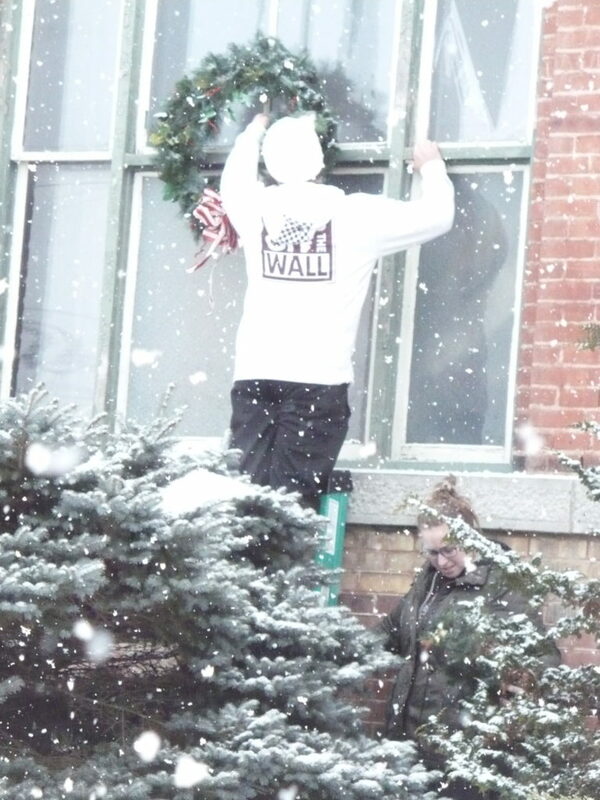 Members recently got a break in the weather, so they dashed out on Jan. 27 to take down the decor. 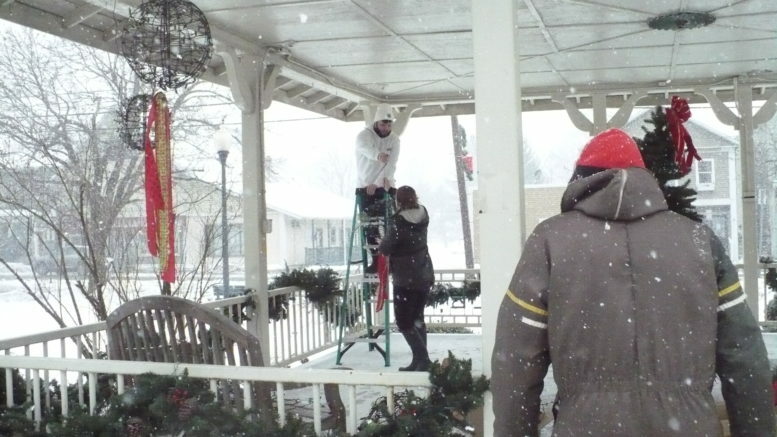 The snow and wind kicked up while they were working, but they got it done. Fun wearing the garlands back to storage! Provided photo. The Tillers are thankful for the young adult volunteers that helped remove and pack away for next year. What goes up must come down! Provided photo. 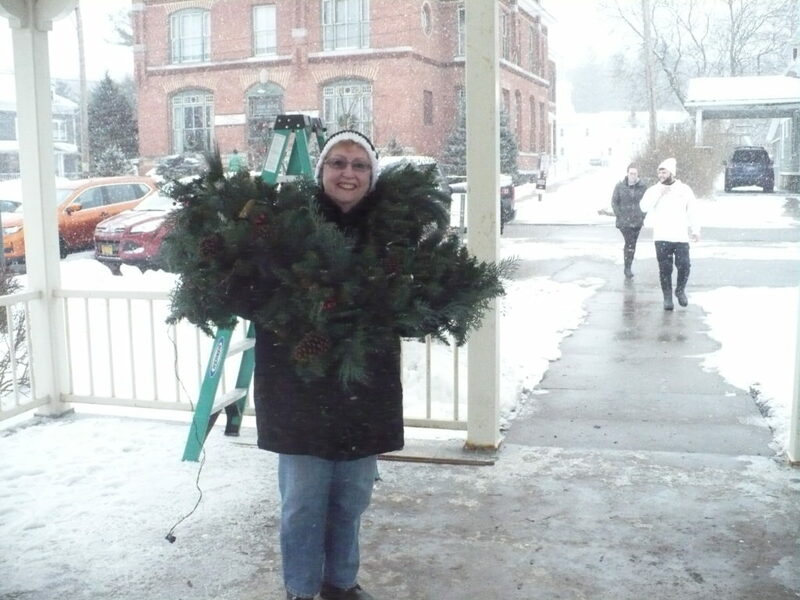 Be the first to comment on "Christmas decorations packed away until next season"